However, the paper also offers evidence that cities can use their control over the development process to limit access to housing, sometimes in problematic ways. 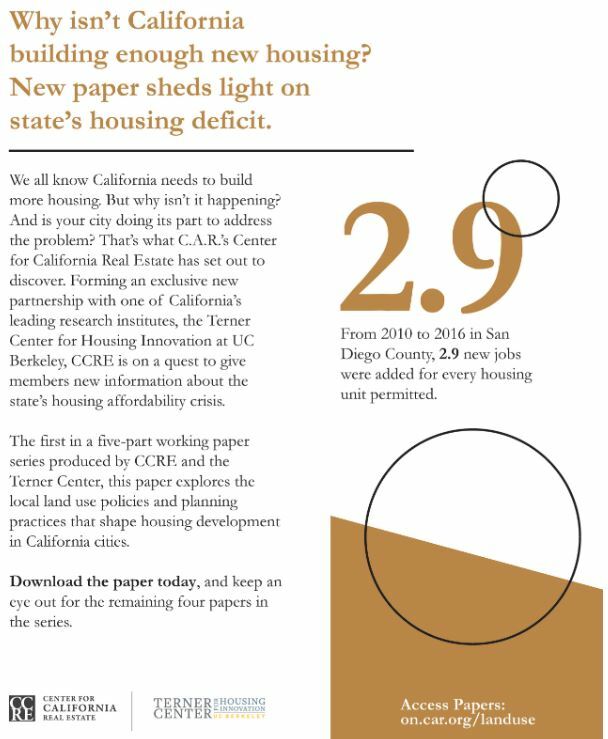 The finding that less housing is built in cities with both higher homeownership rates and White populations is sadly consistent with existing research on NIMBY opposition to local housing development (Lewis & Baldassare, 2010; Scally & Tighe, 2015; Whittemore & BenDor, 2018). These studies examined opposition to building multifamily or affordable housing; it is striking that in this study cities with more homeowners and larger white populations had less single-family development. This finding serves as yet another warning that racial exclusion from White communities continues to limit housing opportunities for people of color. Giorgio, Guy, and I first got together in June, 2013, and this is my first video of the process. We spent several days together over the last few years, so I think he’s got enough in the can to do another one – hopefully it will all see the light of day at some point! 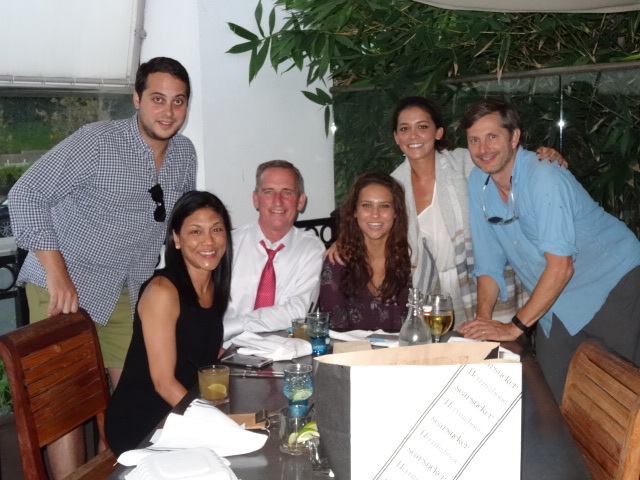 He did flip his NYC co-op and used the money to make this film, and has since gotten married and moved to Hollywood. We’ll be hearing more from Giorgio! 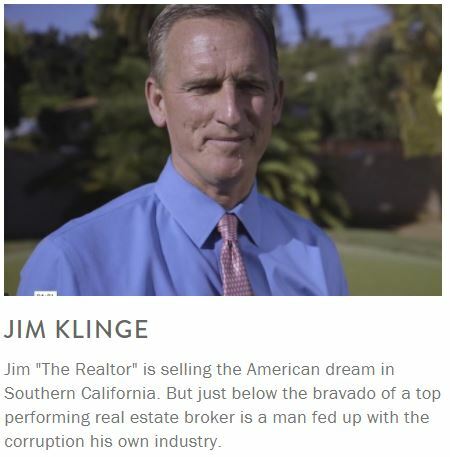 Doc Film San Diego Premiere! 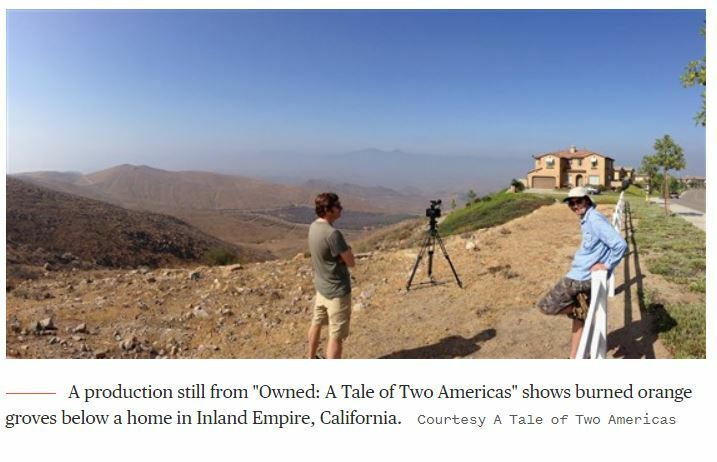 The San Diego premiere of Owned, A Tale of Two Americas is scheduled for a matinee showing on Saturday, March 23rd at the La Costa Cinepolis! The producer, Giorgio Angelini, will be here and we’ll do a Q&A session after the film. I’m hoping to talk him into bringing an outakes/blooper reel too. There will also be a reception/party afterwards onsite. Our two daughters, Kayla and Natalie will also attend! This will be a private event, with no tickets sold. Seating is limited. In May 2010, in the depths of the housing crisis, I was awarded a grant to photograph a collection of abandoned developments Inland Empire, California. With the mortgage market at a standstill and stocks creeping up from record lows, it seemed there weren’t many buyers for these brand new 5,000 square foot homes. I rented a car for $12 a day and drove through an endless maze of freshly packed asphalt roads that wound their way through burnt down orange groves, making room for these half-built totems to a globalized housing market gone awry. On many streets, the eery quiet was interrupted only by Tyvek wrap flapping in the wind. Everything around me seemed to be slowly succumbing to the entropy of the brutal desert conditions, and I felt an overwhelming sense of alienation. What the hell had we built here? At the top of this mountain pass, I came upon an empty home which had perhaps the best view of the entire development. Perched at the edge of the mountain face, overlooking Lake Matthew and miles of vast desert land, the only window facing this awe-inspiring, million-dollar view was a small bathroom window just above the attached garage. It was a profound moment, as this image has become emblematic to me of the utter lack of human intentionality that has overtaken home development in America today. 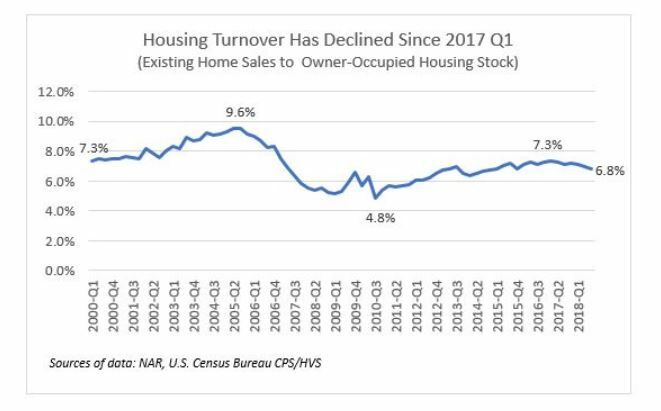 Simply put, the American single-family home has become a globally traded commodity, with no mission other than to be sold. Defining a home’s value has become increasing tied to a narrow set of assumptions (as are most commodities). And, overwhelmingly, that value is driven by size (price per square foot). But a home’s value should be a much more complex calculation. One that takes not just size into account, but also accounts for its lasting cultural and social impact. 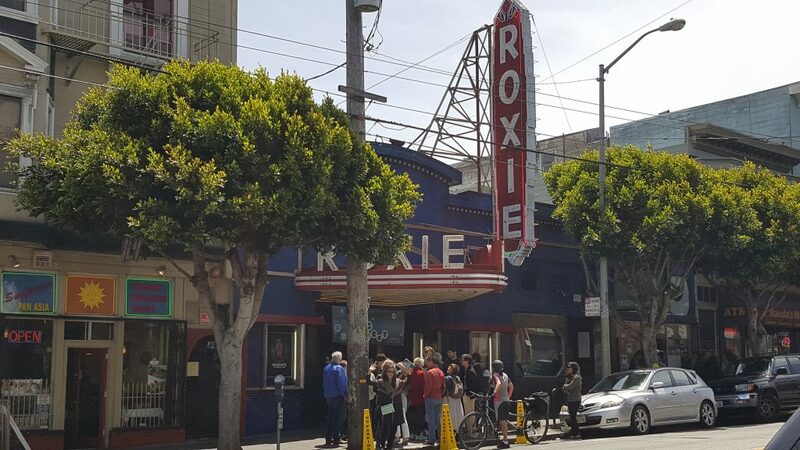 For those in the Bay Area, it is playing again at the Roxie on Wednesday night at 9:30pm, and will be at other film festivals too. 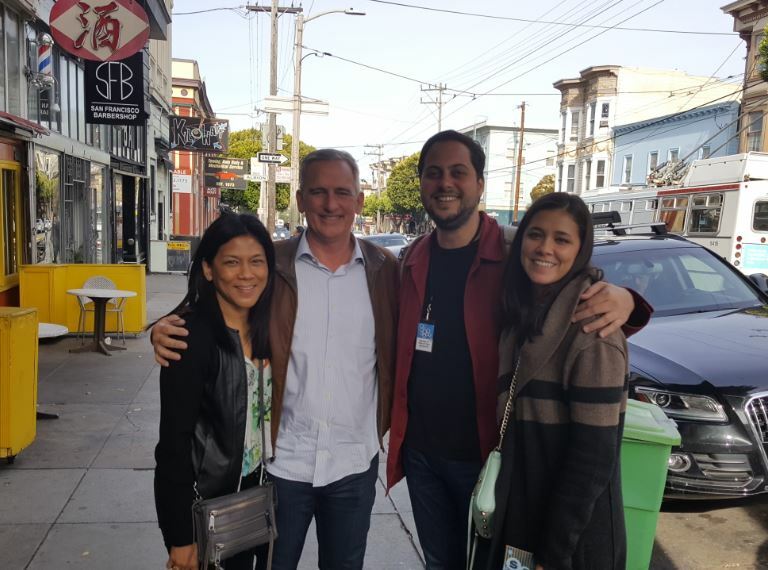 Giorgio is hoping to have the film picked up by Netflix or similar entity, and possibly explore a series where he breaks out each piece of the film for further discovery. The film turned out differently than expected. When Giorgio first started the project, he planned to document how suburbia fared during the mortgage crisis – that’s how I got involved. But as the filming progressed, the subject of the film turned dramatically. 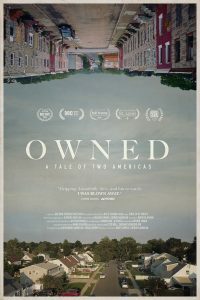 In Owned, the bigger story revolves around a contrarian interpretation of the usually unassailable notion that home ownership is an essential element of the American dream. Through the stark sights of abandoned construction projects in sweeping vistas, Angelini posits that the housing industry is an insatiable beast that subsists on the back of an ultimately self-crippling economic culture. 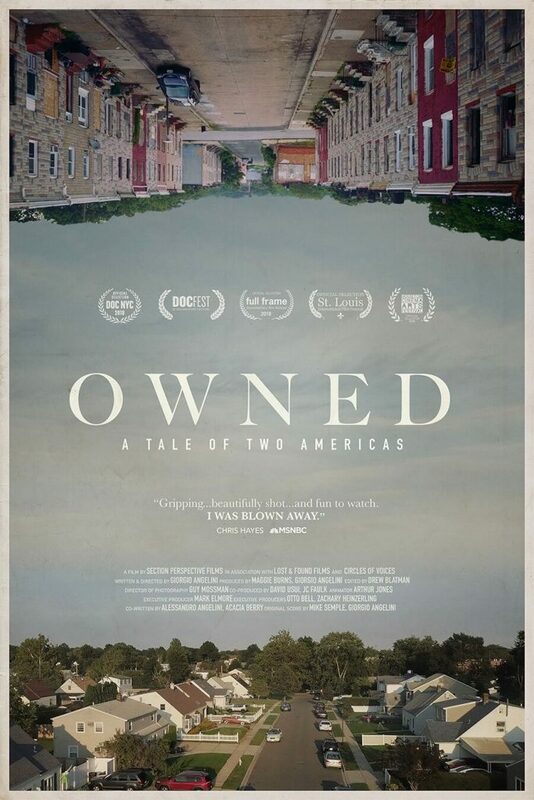 Owned is also a tale of two Americas. In the five years he spent making the film, Angelini expanded his view into other planned development communities and ran headlong into how racial and economic segregation is inextricably linked to middle-class suburbia after World War II. The film goes to hollowed-out neighborhoods in Baltimore to locate the contemporary effects of decades of discriminatory housing practices and policies.